Eddie Long may have did wrong but Bishop Mimms is a P.I.M….. Hold up… wait… back up! 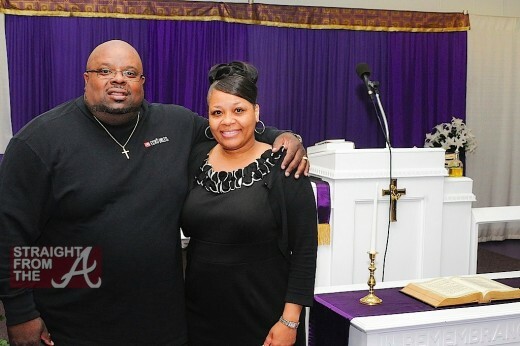 Carl J. Mimms, III, pictured above with his lovely wife Diane, is the spiritual head of Freedom Tabernacle of Praise Church in Indianapolis, Indiana. The 48 year old pastor says he became a hot sweaty mess when Sprint invaded his privacy by giving his call log transcripts to his wife, who suspected him of having an affair. Ms. Diane confronted the her husband with the phone records in front of their teenage daughter and several congregants and now Mimms is suing Sprint for having the nerve to give his wife access to jump-off’s phone numbers!